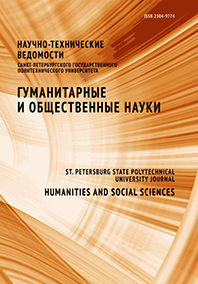 Popov Dmitry G. Zhabenko Ilona D.
The goal of this article is to analyze the role of global cities in the context of real international relations and the projected image of a city as a communication unit. In the course of the study, we have considered the peculiarities of the agglomeration discourse and the role of global cities in political, economic and social practices of the present time; we have also highlighted the levels of agglomeration interaction in relation to the international service market. We have presented the specifics of city functioning as centers of diplomatic activity, science and education, culture and communication. We have also identified groups of public that can act as subjects, objects and tools of public diplomacy. As a result, we have revealed and substantiated that analysis of the city as a provider of global services has to be carried out, along with constructing effective long-term planning.